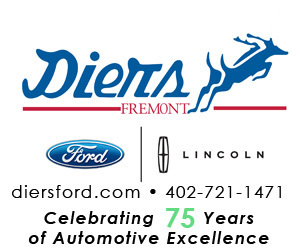 • Weekly features: Looking back in North Bend history, birth announcements, engagement and wedding announcements, opinion columns, school lunch menus, senior center menus, community calendar, sports box scores and stories, and much more! 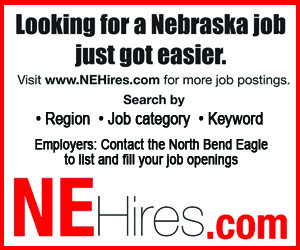 Link to NebPress Digital for Eagle e-sub access. 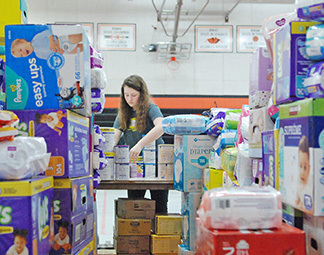 Christina Kavan organized baby donations through a tunnel of diapers at the Donation Depot set up in the NBC old gym. Donations were received from around the country for flood victims to use. Test out an Eagle e-sub to get the Eagle in full color on your computer or device! Find out more or download a sample here. 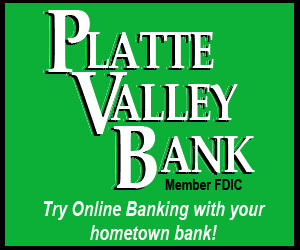 See the favorites from the Pride of the Platte photo display in full color here. • Vokal: What do you really think about propery taxes? • Slideshow: NBC's "High School Musical"
• Link: KMTV's Ch. 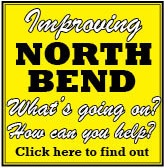 3 story "North Bend risen from the ashes"